Cape Town, one of South Africa’s most populous cities, is in the grip of a severe water crisis. The city’s population has grown 79% since 1995, from 2.4 million to an estimated 4.3 million in 2018. For the last three years the city has been facing its toughest drought, which has led to water scarcity and restrictions for its residents. The day when the taps could’ve run dry almost happened this year but it was delayed as a result of various initiatives to reduce consumption. “Southern Africa has been experiencing a drought since the 2014 El Nino weather phenomenon,” says Dan Manojlovic, the CEO of Mwendo. Manojlovic, the local partner of Nordic Automation Systems in South Africa, believes that a slow-to-adapt resource plan that was not based on accurate real-time data, together with fast-changing weather patterns, has taken national and local governments by surprise and left them unprepared for dramatic reductions in rainfall. Certainly many questions arise as to whether Cape Town could have done anything differently to avoid the crisis. One possible reason could be that the city council has waited too long to implement demand-side management. “They have attempted to get water-augmentation strategies in place (desalination, access to mountain aquifers, etc), but have had limited success in getting the water usage under control. Because water had been so cheap for so long, potable water has been used for everything from washing cars to flushing toilets, and water abundance has been taken for granted,” adds Manojlovic. Besides saving the water with everyday activities, having reusable water systems or getting some systems with rainfall in the usual rainy season, there is still much more to do to get the water usage under control. One of them is restricting residents’ water usage to 50L of water per person per day. “Implementation of real-time data systems that can provide local and national governments with an up-to-date view of water consumption in the city and surrounding areas would’ve been invaluable in helping manage the crisis,” believes Manojlovic. Water meters are still largely manually read only once per month, and sometimes when they are not read at all, residents are provided with estimates that they don’t trust. 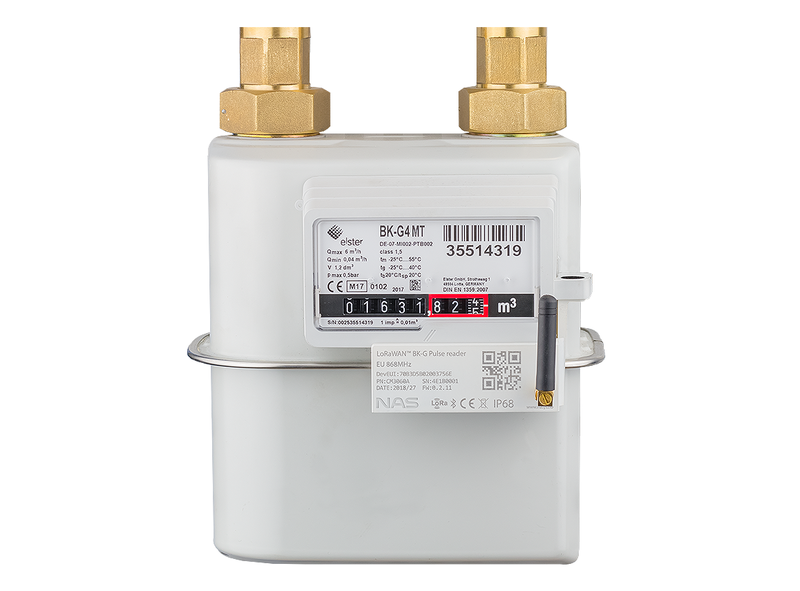 Smart water meters have the potential to solve these challenges, quickly and easily. “Had the city implemented smart meters and smart shut-off valves that would allow real-time management and optimisation of consumption, then there could have been chance to possibly avoid the water crisis,” adds Manojlovic. Nordic Automation Systems water management system enables the residents to have a real-time overview of their water usage. NAS Water Management Device permits water flow limitation while also being able to provide prepaid water metering. The company has been focusing on the South African market for a while as the situation in the region is critical and the need for a cost-effective solution is urgent. With in-house R&D and production capability, NAS has developed a water management solution tailored for the needs of South Africa. 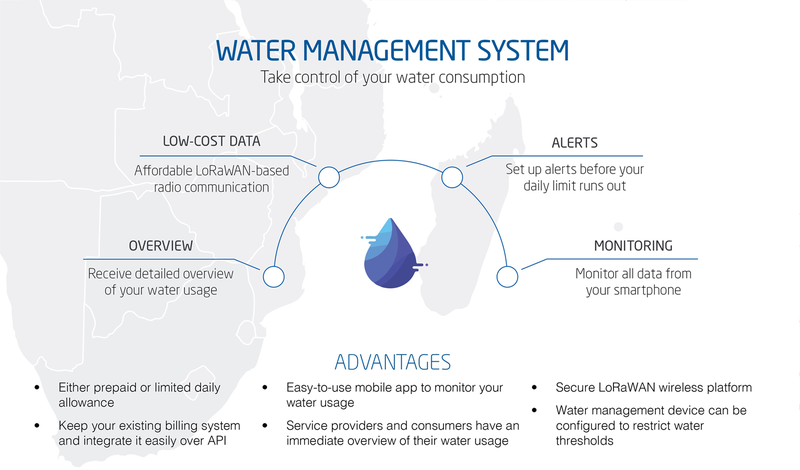 “The solution helps the people of Cape Town to save water while having a clear overview of where each litre of the water is being used,” says Viljo Veesaar, the founder of Nordic Automation Systems. “Not only can they see where the water is going, but they can also limit their water usage to fix quantities,” he adds. NAS & Mwendo will showcase the solution at the African Utility Week from 15-17th of May 2018 in CTICC, Cape Town, South Africa. We are located in booth A22, Hall 1. We would be delighted to meet you personally during the exhibition. If you’d like to pre-book a meeting with us, then please email us at info@nasys.no. We will contact you directly to set up a meeting. Over the last 17 years, African Utility Week has grown to be the premier meeting place for the entire power, energy and water value chain. In 2018, African Utility Week will showcase the latest technologies and services in generation (incorporating fossil fuels, off grid, nuclear and renewables), transmission and distribution (including metering) and new technologies (including storage, mini grids, micro grids, IOT and ICT systems).